Richard glared at his mum for a while, and then faced me. “What?” Prisca and I yelled. I jumped out of my seat in an instant. even though everyone tried to get her up. with things now that we were alone. I just stared at him. specifically told Oyin that they would have to change the position and atmosphere in the picture they had taken of Kelvin and Belina before sending it to Richard but Oyin was too d--n impatient. put Belina and Kelvin in a compromising position, probably nakèd, kissing or something a bit stronger than a mere hug. totally out of the question. She had placed a lot of hopes on the success of this thing. to herself. Maybe it is time for some blackmail. knock when she heard the lady in the office talk to someone on the phone. Belina’s name in the conversation. 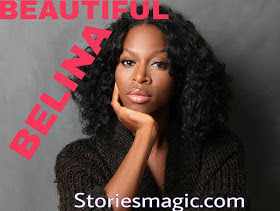 0 Response to "STORY: BEAUTIFUL BELINA (Season 2,Episode 26)"